3. 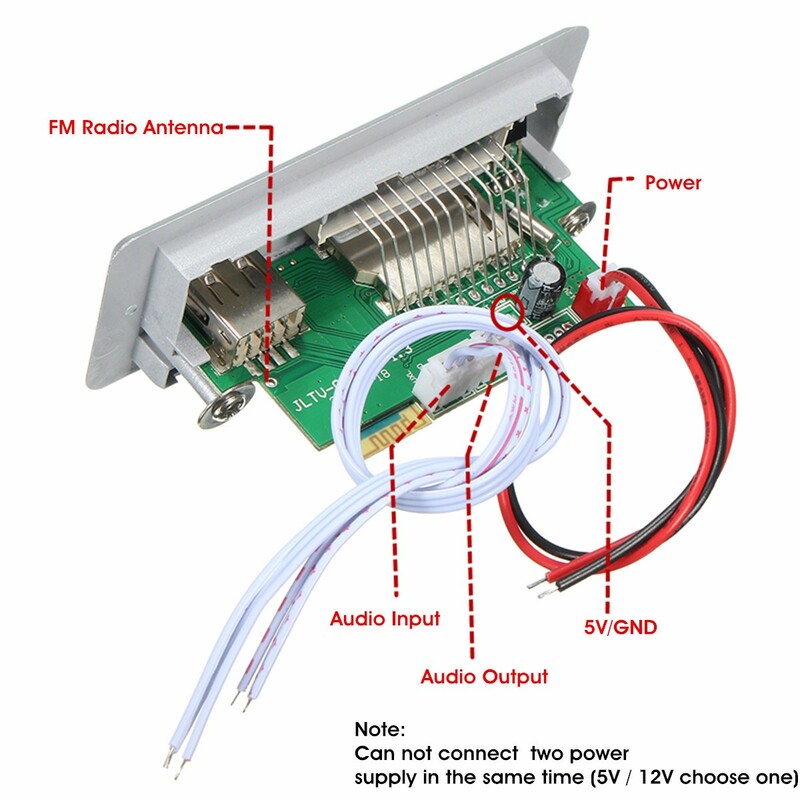 Support USB / SD / Bluetooth / FM / LINE switch automatically. 4. Support MP3 / WMA / WAV lossless songs. 6. Support Bluetoot the song, the next song, adjust volume, EQ, play / pause, mute, shut down. 7. Support FAT16, FAT32 file system. 8. Support MP1 Layer3, MP2 Layer3, MP3 Layer3 version of the song. 9. Support 32-320kbps of MP3 songs. 10. Support power and memory function, continue playing the song played before the power and volume.